Deconstruction/Reconstruction mixed with Traditional Shoemaking. Sneaker School is a series of 3-5 day intensive courses that we host all over the world. TSS team will teach you to completely deconstruct and reconstruct a pair of shoes- you learn everything from sewing to patterning, sole removal, lasting, skiving, and much more. The locations, type of shoes and skill levels vary based on each class. We release class details through our subscribers first, so subscribe to our newsletter to be updated first. Join us for our next sneaker school with a focus on the Air Jordan 1. 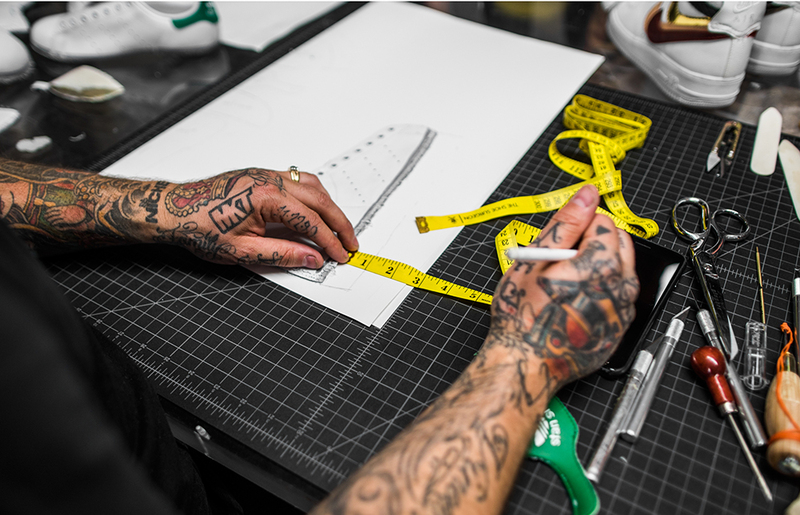 In this 4-day intensive class, you'll deconstruct and fully reconstruct a pair of AJ1's, from start to finish. You'll learn sewing, lasting, cutting and more! - This class is non refundable. - After you purchase the class we will send a confirmation email requesting sizing and including details regarding locations. For further questions, please email info@theshoesurgeon.com.